IF YOU'RE feeling fighting fit, healthy and adventurous, these walks are the perfect challenge for you and your friends these school holidays. Don't forget to wear a hat and some decent joggers and reward your efforts with an Instagram-worthy selfie at the end. TAKE this challenging 1.5km return walk to the summit where there are spectacular 360-degree views of the coastal area, including Point Cartwright and the Glass House Mountains to the south, the Blackall Range to the west and Noosa Heads to the north. Start the walk on Tanah Street West, just off the David Low Way. Note: no toilets are on-site. THIS 1.4km return walk should take around 45 minutes. The mountain is quite steep with a maximum elevation of 100m but has a bitumen path the whole way to grip on to. Once you've reached the top, you're rewarded with an amazing 360-degree view of the Glass House Mountains to the west and Bribie Island and the coastal strip to the east. THIS natural attraction has multiple access points to give visitors various walking experiences along the top of the Blackall Range, winding through three reserves. You can walk the whole track (58.8km) and camp in beautiful settings or do shorter sections as half-day and full-day options. If you're feeling fit, do the whole walk, starting at the Baroon Pocket entrance near Montville and finishing at the Delicia Rd entrance. THIS steep 2km return walk takes you skywards to 439m. To do this walk, you must be prepared to climb with a chain rope through the rocky sections and multiple stairs. The last 30m to the top of the summit is a hard scramble without chains. Start this strenuous walk on Mountain St, Pomona. THIS 1km return walk is family friendly but will still keep you on your toes. The track is smoothly pathed and has a wheelchair lookout available, too. Once you've reached the top, embrace the 360-degree views over lakes, the coastline and hinterland forests. 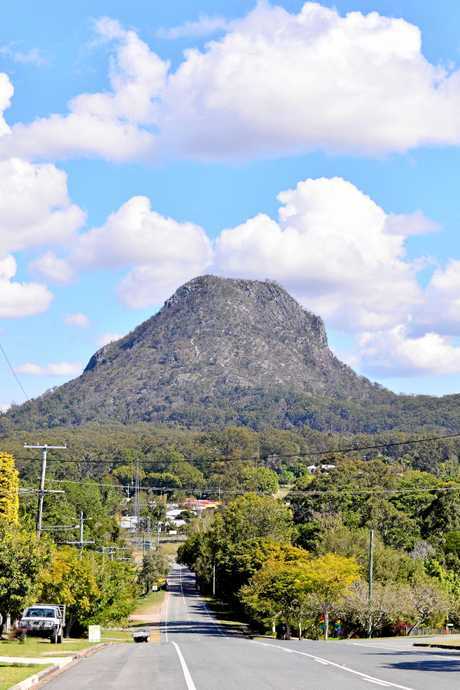 Start your walk on Mt Tinbeerwah Rd, Tewantin. 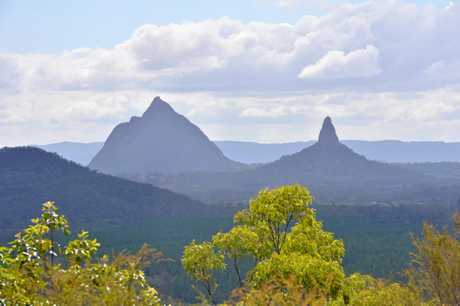 MT Tibrogargan delivers the ideal challenge with a 3.3km return trek. You'll need your hands and decent leg muscles to get you to the top of this 364m high mountain. 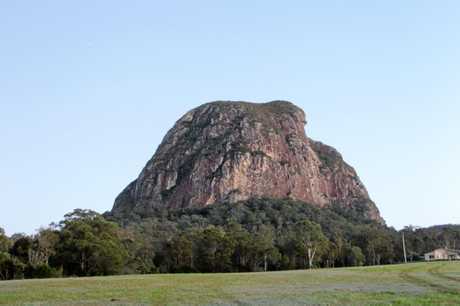 The starting point for this walk is at 276 Barrs Rd, Glass House Mountains. 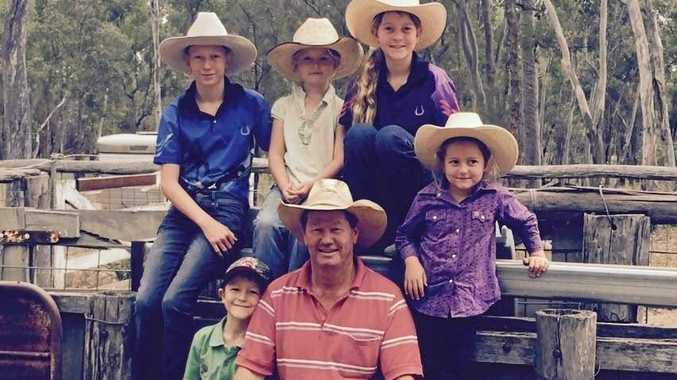 TO CHALLENGE the whole family, take this 2.8km return walk to the top of Mt Ngungun. It's not the tallest of the Glass House Mountains' climbs but it will still give your legs a good stretch. The 360-degree views are picturesque and there's plenty of wildlife to see on your way to the top. Begin your walk at 214 Fullertons Rd, Glass House Mountains. 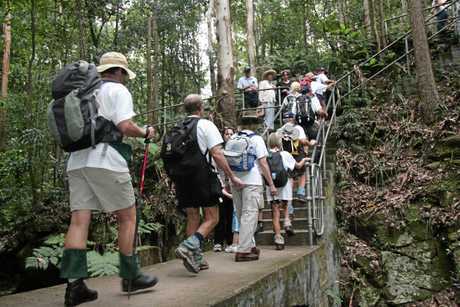 WALK the 4.7km rainforest circuit to see the spectacular 90m gushing waterfall. The walk features a lot of steps and hilly terrain, so refuel with a relaxing picnic in the park. There's plenty of open space with picnic tables, barbecues and toilets. Begin your adventure at Kondalilla Falls Rd, Montville. ENCOMPASSING a rocky coastline with sheltered coves, Noosa National Park is located in the heart of Noosa, offering a strenuous 10.8km coastal track. Wear some joggers and summer clothes with sunscreen as it's going to get hot and sweaty. Start your trek at Park Rd, Noosa, and keep an eye on the ocean for dolphins and turtles. Pt Cartwright's lighthouse from the air: Pt Cartrwight on the Sunshine Coast. Shot on DJI's Mavic Air drone. THE southern section of the coastal pathway offers trekkers a series of one-way walks along the coastline, ranging from 3.2km to 8km, with a combined distance of 25km. The southbound track starts at Point Cartwright Drive in Buddina and the northbound track begins at The Esplanade, Golden Beach. The track has great sights to see along the way including a lighthouse, lakes, creeks and surf beaches.